If you are a person who can not imagine practicing without music, believe us you are not alone and that this practice many people around the world, and read further and discover what are the benefits of listening to music during exercise. You will do more. If you are running out of power and will, during the training, just find your favorite song that always makes you move and you will get a brand new elan. It influences to run faster, longer ride a bike and swim faster, often without you even realizing it. Some say that it’s a legal drug for all athletes, and studies have confirmed because it is proven that we work with the music to 15 percent harder than without. Exercise becomes fun. A good playlist on your phone or player training turns into a party not in boredom. In the market you can find lots of wearable devices on which you can record your favorite music that will encourage you to work even more valuable and training will certainly go faster. Music relieves pain. Research conducted in 2013 showed that all those who during practice listening to the music you love, after training, on average, use less medication than those who did not listen to music. Although it’s not a substitute for drugs it you somehow distracts from the pain. It improves mood. It naturally enhances the production of dopamine, a neurotransmitter that trigger the reward system in the brain. 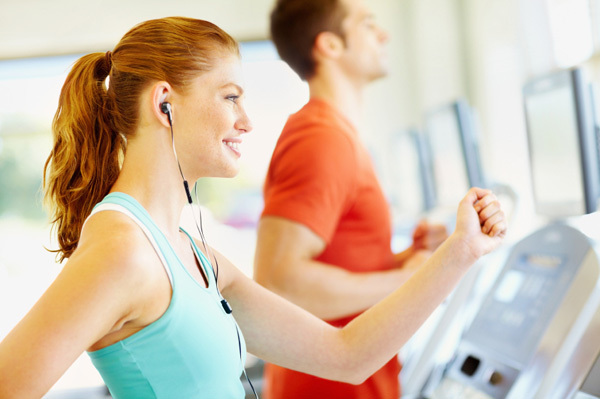 Listening to music during a workout releases a new dose of dopamine and therefore you will feel better. At the same time only exercise stimulates production of serotonin, a combination that works wonders for our bodies. It relieves stress and anxiety. Listening to appropriate music during the yoga classes can help to relax, relieve stress and tension that you wear all day, and some research has shown that reduces stress. Strengthens the immune system. As has been proven that music relieves stress and anxiety and improves mood that automatically means it has a very positive effect on the immune system which is great news especially during these sudden weather changes and the large differences in the temperature of the air. You run better. If in due course you want to become a long distance runner, then be sure to train with headphones in your ears, because in some way improves durability. Make a playlist of favorite songs that lasts as long as you want to run and do not give up until you reach For the last song. We are sure you will succeed.